Flour Tortillas (Bread Revolution Series) – I'll Make It Myself! More Bread Revolution and Guide to Flour. TexMex/Southwestern/Mexican foods were something I purchased from the grocery or at restaurants in the US, missed sorely in Japan, and was convinced I couldn’t make it myself. If I found salsa in a jar, I couldn’t find chips, so what was the point? Avocados weren’t something I could get my town easily, and forget cilantro or jalapeños. 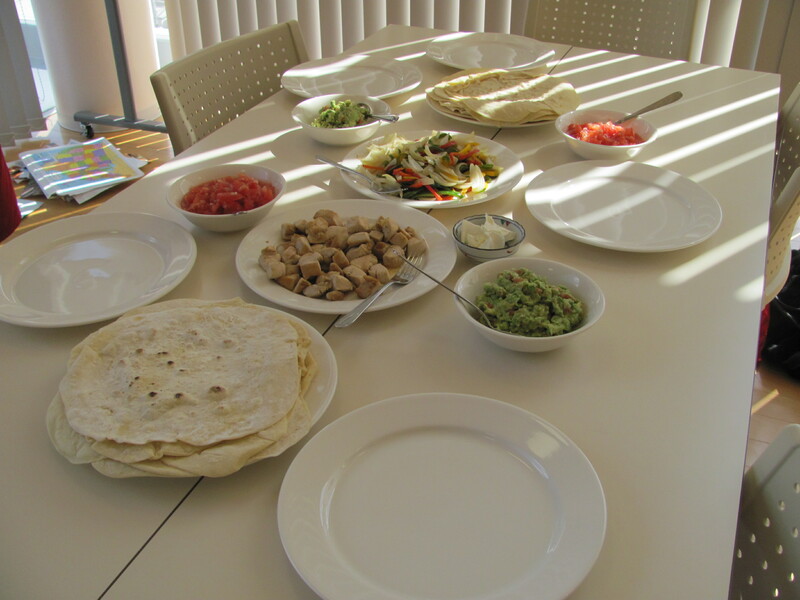 I gave up on my dream of enjoying these foods in Japan, but luckily Cheruko didn’t, and she put together a fantastic fajita spread for an international cooking lesson. 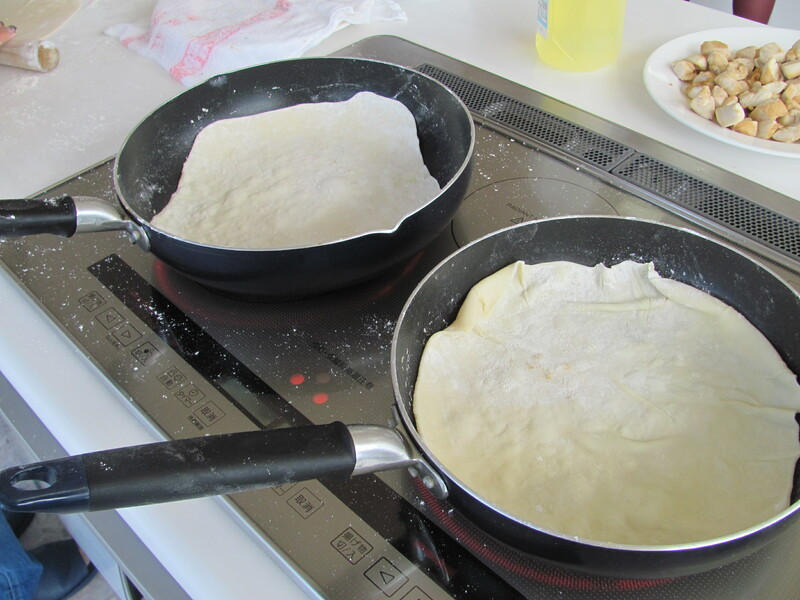 We (mostly she) translated and adapted a flour tortilla recipe from Homesick Texan. It’s simple, quick, and doesn’t even use lard or shortening! This recipe can be vegan if you use soy milk. I haven’t had the best luck subbing whole-wheat flour, but if you have a good ratio, let me know. Adapted from Homesick Texan‘s “Texas Flour Tortillas.” See original for larger recipe and US measurements. Yield 4 tortillas. Serving size: 1. Surface for rolling: cutting board, clean table, etc. 1. Mix the flour, baking powder, salt, and oil in a bowl. 2. Heat the milk on the stove or in the microwave until warm (about 38ºC or 100ºF). Slowly add to the flour mixture, stirring until the dough becomes a stiff ball. I usually use all the milk, but you don’t want the dough to get too wet, so take it slowly. 3. Knead the dough for about 2 minutes, shape into a ball, and cover the bowl with cling wrap or a clean dish towel. 4. Let rise for 20 minutes in a space free of drafts. 5. Divide the dough into 4 pieces and roll each into a ball. Place on a plate, cover with the same wrap or towel, and let rest for 10 more minutes. 6. Roll out one ball thinly. Heat the dry frying pan a little and cook until the dough puffs up a bit and you have “burn” marks on one side (about 1 minute), then flip to repeat. 7. 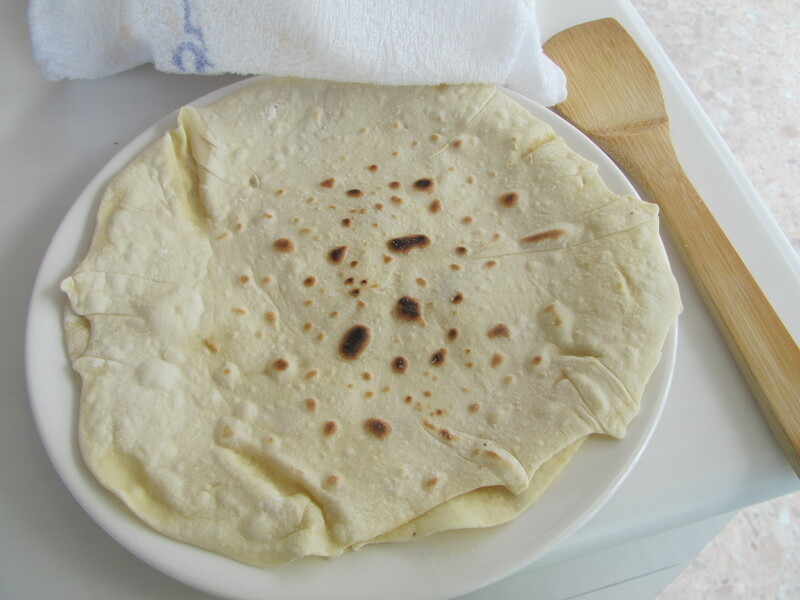 Place cooked tortillas on a plate under a clean towel until ready to eat. These are best fresh, but you can store them tightly wrapped in the refrigerator if you have leftovers. *Not the Japanese black soy bean (kuromame, 黒豆) but Western black beans (kuro-ingen, 黒インゲン) from the import store. You can use kuromame for tortillas, but they’re more sweet than savory, and the texture is a bit off. Previous Post Use ALL the Social Media? Pingback: Kitchen Library – 9.24.2012 « I'll Make It Myself! Pingback: Fresh Mango Salsa | I'll Make It Myself!